On Thursday, February 14, LIFE Today will host Rene “Level” Martinez, a former gang leader and Mixed Martial Arts (MMA) fighter from Miami. Following a radical transformation and encounter with Jesus Christ, Level now preaches the Gospel to gang members and the poor in communities nationwide. 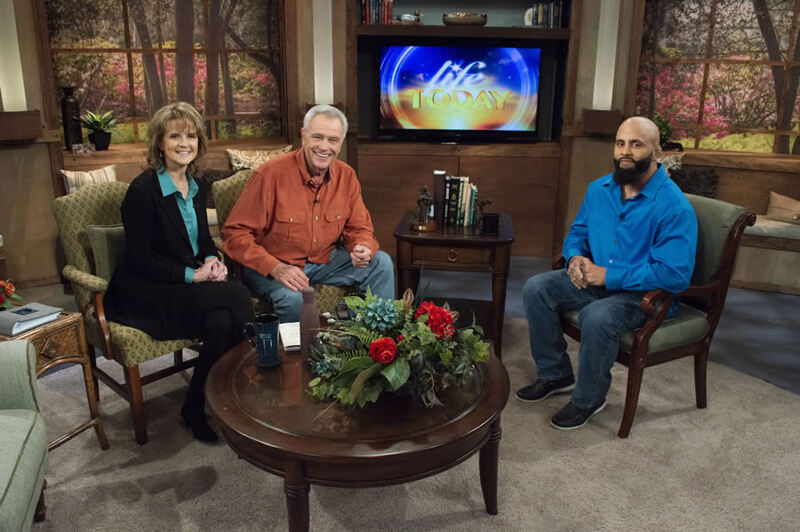 On LIFE Today, Level talks about his transformation and where God is leading him next. Our LIFE Today colleagues tell us his appearance was one of the most powerful and mesmerizing in the show’s long history. Do not miss it. The Stream’s Nancy Flory sat down with Level during his visit to discuss how the church can meet the needs of those in gangs and what he hopes to do in the future for gang members and those just out of prison. Level’s full story may be read here. What does a gang offer that churches need to respond to? Well, a gang offers a family. That’s why I got involved. I didn’t have a mother there or my dad there. I was so young. My neighborhood was very gang-affiliated. When I went out into the streets I found family where the guys showed me a lot of love. It was kind of like a brotherhood which led me to getting involved with gang banging and all kinds of craziness. So, when you’re a part of a gang you feel like you belong and you feel that sense of family, which is really a lie from the devil but that’s what drew me to being gang involved. Do you feel the church is lacking anything in that area? Well, a lot of churches should go out in the streets more, do more street ministry, do more outreach, and do more stuff involved with the community as far as a body. Doing it together instead of just having a service and everybody just going home. You know, there’s church members and then there’s disciples. We’re called to be disciples of Christ. Jesus Christ said, ‘Go make disciples of all nations,’ so I believe that as a body of Christ, we need to be more united and not divided. The church just needs to be doing more stuff together like retreats, and all kind of different stuff and especially for the communities out there in the streets that need it. They need that word, they need that sense of family. If not, they’re going to find it on the streets. And also a lot of people have money situations. You know, when you come from a poor neighborhood and you don’t got money to survive, you’re going to start robbing you know and doing stuff like that. That also leads to getting involved with people who are gang-affiliated, selling drugs and all kinds of stuff that goes on in these streets. When you said, ‘Real recognizes real,’ — does the church need to address that? How does the church need to be real? It depends on what church it is. Because some churches are real. Some churches just preach prosperity, some churches are all about things that are not about Christ, but some churches are all about Christ. I just feel that if you’re real you’re going to recognize what’s real. So, if you’re in a real church I think you’re going to feel the spirit of God, you know? You’re wanting to open a church as God leads.What does that look like? My vision is to open several churches and having a real discipleship program. It’s my vision to really feed the body of Christ with the real word. Making the word come to life. Just living according to how the Scriptures are written and build real disciples. Not just containing everybody in one spot, but building pastors and all kind of different people for the body of Christ so they can go out and keep building and the body of Christ can just expand, become bigger. So, not necessarily tying down to one church but making disciples everywhere? Yeah. 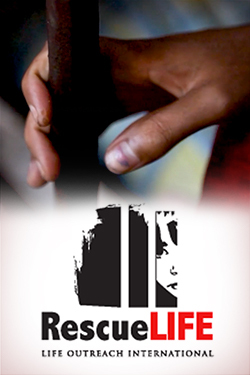 Helping people when they come out of prison. Maybe have a program for when they get released. If they’re about to get released, they’ve got to come through our program or something. Especially if they want the word. A lot of people don’t want it. But a lot of people seeking God, then they meet someone not real, like I said, ‘real recognizes real,’ and it turns them off and it makes them run away from God. That’s why it says we’re held accountable for what we do. So, we must represent Christ here to the fullest in the right way. Can you tell me stories of people who you’ve ministered to since you’ve started your ministry? Any specific story that sticks with you? I always tell everybody about this one story. There was a kid when I was gang banging. I was a leader of a gang. And he was younger at the time, he was like 12. His brother was part of our gang. He got killed. But I met him with his brother one day and I said ‘Let’s make him part of our clique,’ and he was like, ‘Oh I didn’t know if we could have young kids in the clique.’ And we ended up walking him into the gang, which is, walking in means like initiation. So, we initiated him into the gang and he grew up with us, his whole life. And he grew up in the projects, his whole life on the streets. When I came to Christ, he was lost. He was lost. He was going through a lot of things, so I moved him into my gym. I had a gym at the time — Mixed Martial Arts. I started giving him the Word, and he started seeing Christ in me, started seeing how different I was. And he was ready one day. He said, ‘Man, I want to get baptized in the name of Jesus Christ,’ and I prophesied over him. I said, ‘Man he’s going to go make disciples of all nations. He’s going to go forth and ordain elders in every city and baptize them in the name of Jesus Christ.’ Now he’s in Washington state, you know, preaching the Gospel. He is married now. He’s a totally different person. He [doesn’t] smoke cigarettes any more, no alcohol, he’s all about Jesus Christ. And that’s what it’s all about. That’s what it’s all about. How can The Stream readers pray for you in 2019? I plan to go everywhere — Third-World countries, everywhere. Just [pray] for me to stay covered with the blood of Christ at all times. And stay protected by mighty warrior angels that God sent to encamp around me and keep me safe from any kind of plans or plots from the enemy.